We’ve taken the guesswork out of understanding OSHA requirements. While it may seem like common sense for a new equipment operator to receive proper training, many workplaces let their employees get behind the controls, untrained. Operator error is the number one cause of forklift-related injuries and fatalities in the U.S., which makes a lack of training the main culprit. As a result of the number of preventable forklift-related accidents in the workplace, OSHA has created a number of forklift certification requirements that can be found on their website under the standard for Powered Industrial Trucks. All employers are responsible for their workers’ forklift training. If you’re not sure about OSHA forklift training requirements, ForkliftCertification.com shows you how with affordable, accessible courses for any skill level. 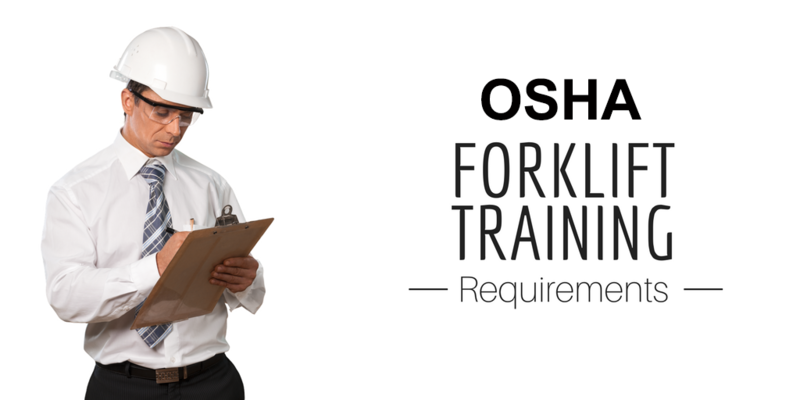 FLC provides thorough training that meets all OSHA forklift certification requirements! Get started today and make your workplace safer and OSHA compliant! • Formal instruction in OSHA forklift certification. The employer can create their own forklift training and be compliant with OSHA forklift certification requirements by providing workers with informational charts, diagrams, slides, videotapes, films, audio tapes, and even just a teacher speaking to a class. • Practical training consisting of demos by the instructor and exercises practiced by the student. In addition to being compliant with OSHA forklift certification requirements, training needs to be specific to the workplace and to the type of equipment that they will be expected to use in the workplace. • Evaluation of the trainee’s performance in the workplace. It is the employer’s responsibility to make sure that each forklift operator understands how to drive a forklift safely, which is demonstrated through training and OSHA-compliant testing. Before a worker is allowed to operate a forklift, except during training, the employer must make sure that they have completed the proper training. Employers are able to create their own OSHA forklift certification program based on the unique qualities of their workplace and the types of forklifts used. Under direct supervision of a person who has the knowledge, training, and experience to train operators and evaluate their understanding, in an environment that does not put others in danger. Forklift certification requirements include a combination of: Formal instruction (e.g., lecture, discussion, interactive computer learning, written material), Practical training (demonstrations and exercises performed by the trainee) and an Evaluation of the operator’s performance in the workplace. These OSHA forklift training requirements are a critical part of the overall training process –and FLC will show your employees the most important safety concepts! 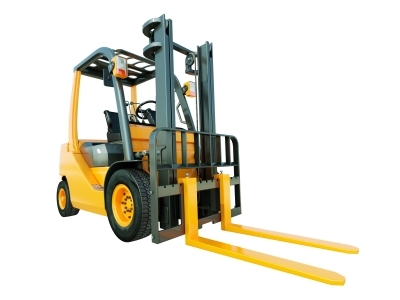 Initial forklift training must include the OSHA forklift certification requirements. Refresher training, including an evaluation of the quality of that training, is required with OSHA forklift certification to ensure that employees are able to operate forklifts safely with the most up-to-date information. Many employers overlook this OSHA forklift training aspect – make sure you have all of your training details covered with FLC. Bonus: What dishonest trainers don’t want you to know about 3 year re-certification >> GO! Also learn more about forklift license requirements for renewals. Forklift certification requirements say that if a forklift operator has been trained in a specific operating topic that is relevant to the workplace and type of equipment, and they have successfully proven their understanding of the topic, then further training is not required. For 12 years our online forklift training program, CertifyMe.net, has offered free 3-year renewals for this reason. It is also the reason we offer a forklift training kit for in-house training with all the curriculum, forklift certificates, and operator cards on a reusable and customizable template. With FLC, your OSHA forklift requirements are taken care of! We even put the entire kit contents on a flash drive for your convenience. Why is OSHA Forklift Certification Important? The Occupational Safety and Health Administration (OSHA) estimates that forklift accidents claim 85 lives in the United States each year. In addition, OSHA reports that, each year, forklifts account for approximately 100,000 industrial injuries, of which one-third are serious. To put these figures into perspective, more than one in ten forklifts in the United States each year will become involved in an accident. Studies show that a large proportion of accidents may be prevented by proper training. With this in mind, OSHA published a set of OSHA forklift certification requirements in 1999 specifying how OSHA forklift training should be carried out. Apart from helping to prevent accidents that can lead to injuries and fatalities, forklift certification protects employers from being hit with costly fines. OSHApenalties are expensive. Willful or repeated violations, such as willfully allowing an untrained and uncertified worker to operate forklifts, well over $100,000. As an employee, if you want to be considered for the best forklift jobs, you need a forklift certification because any employer serious about their business won’t be willing to risk being slammed with fines as a result of not complying with forklift training requirements. And as an employer, it’s imperative to the future of your company for you to follow all forklift certification requirements and only allow trained employees to drive forklifts. What Does All This Mean for Employees? If you want to be best prepared to protect your life on the job and avoid accidents, then you need to complete a quality forklift certification, one that covers all of OSHA’s forklift license requirements. You will learn exactly how to operate a forklift safely, perform inspections, and recognize and avoid hazards. As a result, you’ll be more productive at work, and your employer, or future employer, will greatly value your presence in the workplace. In fact, you can’t qualify for a great forklift job without forklift training and a forklift license. Not meeting the proper OSHA forklift certification requirements puts your business in jeopardy of costly fines and legalities. If an OSHA inspector finds that you have untrained operators in your workplace, you can be facing an expensive write-up. Besides the risk of fines and legalities, not getting your employees the right OSHA forklift certification will hurt the productivity of your business. Workers who don’t have the knowledge and skills to operate forklifts safely and properly will be more likely to cause accidents, damage equipment and other structures, not perform effective maintenance or inspections, and simply not be able to work very efficiently. All of this means more money out of your business’s pocket and a lower bottom line with slower growth. How Can I Complete My Forklift Certification? · And any other operating precautions or instructions contained in the operator’s manual specific to the forklift truck or trucks being used. · Any other unique or hazardous features of the working environment. Forklift training OSHA style involves taking into account operation in environments where ventilation may be restricted or inadequate vehicle maintenance may lead to the build-up of toxic gases like diesel exhaust or carbon monoxide. With ForkliftCertification.com, being OSHA-compliant with forklift license training doesn’t have to be expensive or time consuming. Our OSHA forklift training is all available online for very affordable prices. Students of our program can access the forklift training from any device with an internet connection, 24/7. Whether you prefer to work from your couch, from the local coffee shop, or from work during your lunch break, you can complete your forklift license training and fulfill all OSHA requirements in only about one hour! FLC has created our program with the following points in mind to protect your life on the job and ensure you’re compliant with all OSHA forklift certification requirements. You won’t have to worry about missing an OSHA update or regulation; we’ve designed our programs to always be up-to-date on all OSHA forklift training requirements. Trains your experienced operators to lead the training and evaluations for new employees. Save money, time, and frustration with your own in-house instructors. Our Bundle Package includes both the Train the Trainer course and the Training Kit to save you money with one discounted price. If you’re an employer, the Bundle Package is the most cost-efficient way to train your entire workplace using your own in-house instructors. Aside from making sure your employees receive OSHA-compliant forklift training, you can help prevent injuries and fatalities on your worksite by requiring your employees receive up-to-date OSHA forklift certification training, and to take the time to complete daily maintenance checks on the forklifts. Prevention is the best way to improve safety, increase employee productivity, and lower costs. Read more here to learn the different maintenance checks you can complete yourself, and the type of forklift certification you should look into for your workers. For any questions about OSHA forklift certification requirements, give us a call at (888) 278-8896. Thanks for visiting FLC!